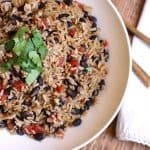 Spanish Rice with Beans is the perfect side dish for any Mexican Fiesta, or for a simple chicken dinner. 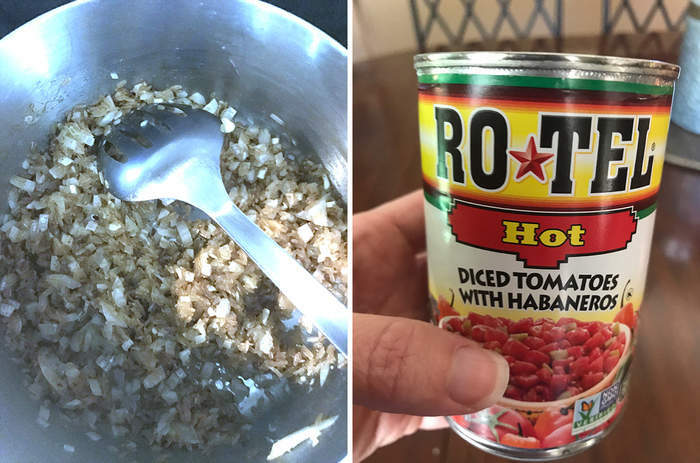 The HOT Ro-tel adds a spicy kick, but not overpowering. Mike and I have lived in Texas since 1993, and although we aren’t Texans by birth, we’ve lived here longer than anywhere else, including our home state of Iowa. Our boys are both Texans, since they were born in 1996 and 1999. So I’m thinking that Mike and I are officially Texans now. And Texans like love Tex-Mex. At least everyone I’ve ever known here does. We LOVE our tacos and quesadillas and enchiladas and nachos and tostadas and salsa and margaritas and guacamole and queso and chips. This is a “recipe re-do”, which was very much needed. The actual recipe is the same, but I’ve updated my pictures. We grilled some chicken tonight and made Burrito Bowls. It’s one of Mike’s FAV meals, and he usually doesn’t mind eating the leftovers for days on end. The ingredients you need are the following. Lay several tortillas out on countertop. Spread a thin layer of refried beans on half of each tortilla. 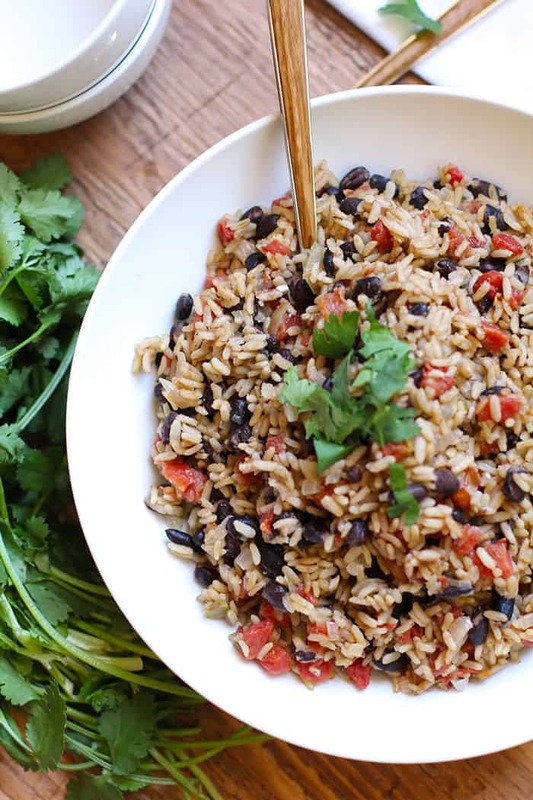 Scoop some Spanish Rice with Beans on top of the refried beans. Top with sliced grilled chicken and sautéed onions. Grill in skillet or grill pan until brown on both sides. Serve with sour cream, avocado slices, and salsa. And that’s how we do Tex-Mex at our house. Tacos, quesadillas, and burrito bowls galore! 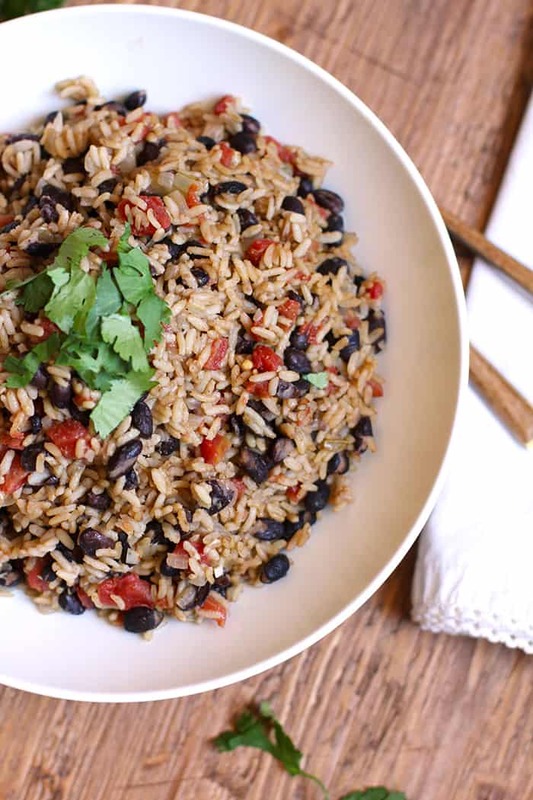 The perfect side dish for any Mexican Fiesta, or for a simple chicken dinner. The HOT Ro-tel adds a spicy kick, but not overpowering. Heat medium sauce pan on medium-high heat. Add olive oil and butter until butter is melted. Add onion and cook until soft. Add garlic and cumin and cook for 30 more seconds. Add rice and stir to brown for a couple of minutes. Add chicken broth, Ro-tel, black beans, and season with salt and pepper. Cook until liquid is absorbed, about 20 minutes. 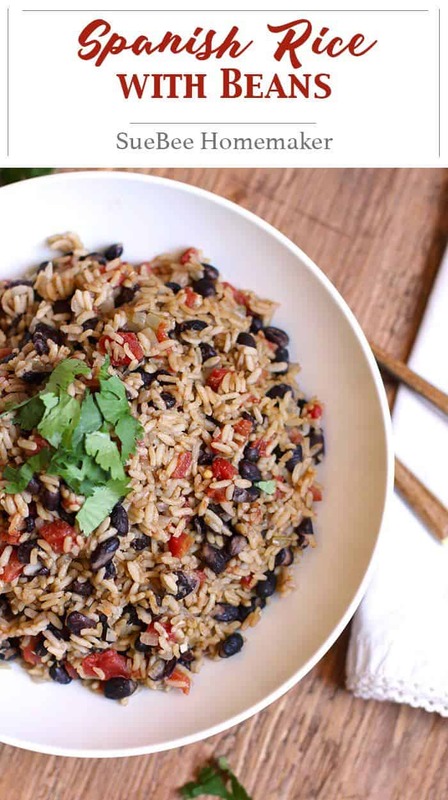 I am a TexMex loving girl and this is a good one! !